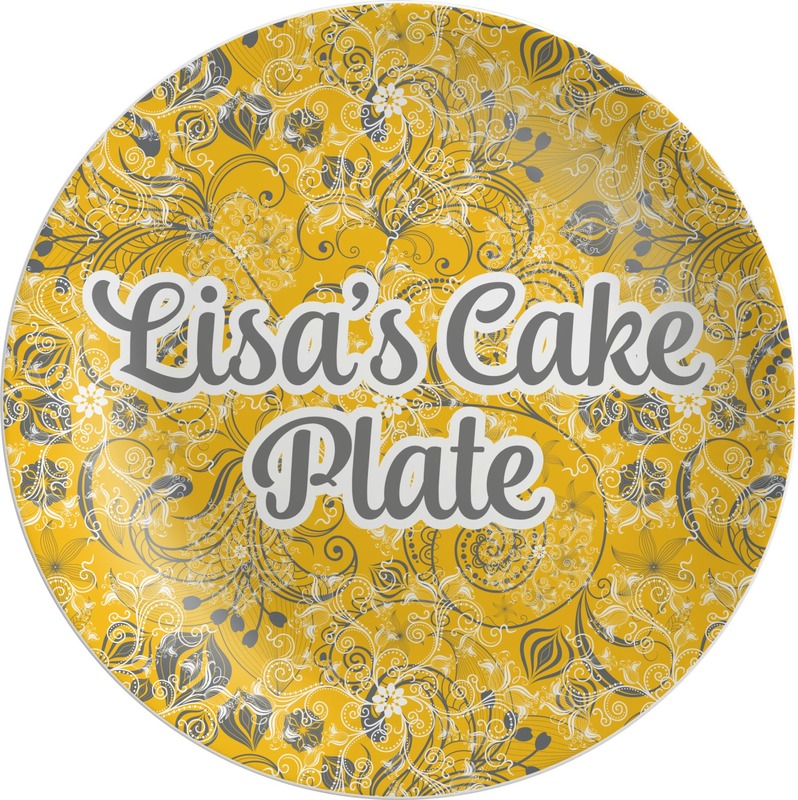 Design Ideas for Personalized Melamine Plates - 10"
Break too many dishes this week? Or maybe you're a family with kids who can't use ceramic plates yet. Either way, melamine is a fun way to lessen the amount of broken dishes in your house! These melamine plates in particular are the perfect place to start building your melamine set. They are 10 inches in diameter, which is perfect for dinner plates for kids and adults alike. They are break resistant, so they are the perfect thing for kids (or even adults) who are more prone to drop their dishes. They are not microwave safe, but they are perfectly safe for putting in the dishwasher. They are even BPA free! Make eating fun by personalizing your plate with a fun graphic or a name! You can start with one of our pre-made designs and go from there. Change the text, colors, and even patterns to make it yours. Have fun with it! Trying to buy the perfect dish set for your family? Easily compare our melamine plates to our composite polymer plates and glass plates Even compare these 10 inch plates with our 8 inch melamine plates. Each have unique qualities that may suit one family over another. Be sure to go through our Dining Room and Kitchen sections to find more products you will fall in love with. It was my first time to purchase a product from this place and I had so much fun customizing my own gift. I received it in a timely manner and was so happy with the purchase I made. It was perfect! I’m sure I’ll be ordering again..very happy! Loved the plate, however, I had wanted to purchase the bowl and cup also, but didn't get a response from mfr as to availability. So sad. Love this little plate for my grandson and he loves it, too! The name did not come out the same size as this shows. It came out tiny.